But first, she had to lose 40 pounds. “I went to the gym every day, exercised, and knew that if I stayed focused, I could do it,” she says. And she did. The kidney transplant, which took place in June of 2010, went off without a hitch. “My father and I had a picture-perfect experience,” says Hanan. Each year, they celebrate their “kidney-versary” with an ambitious activity. They’ve gone zip-lining and inner-tubing. It’s always a surprise, and Hanan is already planning their next adventure for this June. Finding a match isn’t always easy, though. Hanan’s cousin, Cindy Meyer, also needs a new kidney but has been unable to find a match. “Cindy has had 70 rejections so far,” Hanan says. March is National Kidney Month — an optimal time, she says, for others to think about becoming a kidney donor. Jewish law gets complicated around organ donation, but live kidney donation is permitted, if not encouraged, by many halachic experts. Yet making the choice to donate is not one to take lightly. In 2012, Rabbi Ari Sytner, a New Jersey social worker who trains Jewish leaders at Yeshiva University, donated a kidney to a stranger. He chronicles his experience in his book, The Kidney Donor’s Journey: 100 Questions I Asked Before Donating My Kidney. Rabbi Ari Sytner with Ronit Havivi the day of their surgery. Sytner’s journey began while teaching a medical ethics class. 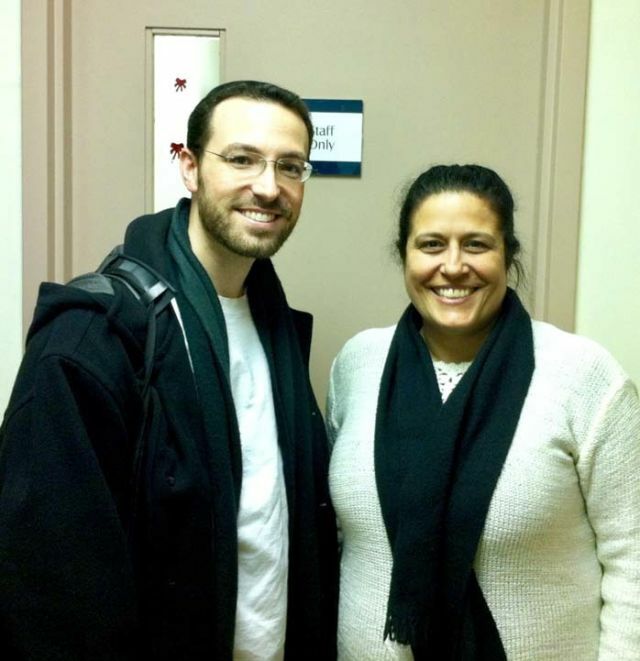 Donating an organ, he told his class, is an act of kindness, the very meaning of tikkun olam. But he wondered: Could he perform that mitzvah? Could he help someone who might be dying? After soul-searching conversations with his wife, Chana, Sytner went through the testing process, connected with a transplant center, then found Ronit Havivi. A single mother of three living in Israel, she was in desperate need of a kidney. His four children reacted with tears. “At first they pleaded, ‘please don’t do it,’” he says. But after learning that a single mother would die without a transplant, they supported the decision.